LEED | Campbell & Associates, Inc.
Campbell & Associates offers an array of services to assist with LEED Certification. 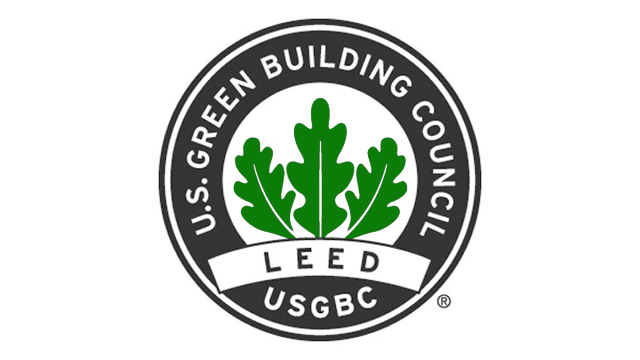 We have LEED accredited design professionals on staff, and have completed many LEED certified projects. Campbell & Associates, Inc. has can provide energy audits, complex energy models, design all types of geothermal and other high performance HVAC systems, design high-efficiency lighting and plumbing systems, rainwater harvesting systems, active and passive solar systems, and many other systems essential to the function of a sustainable building. Due to this experience, Campbell & Associates, Inc. understands the nature of what is required for sustainability to be designed into a building’s mechanical, electrical, and plumbing systems. Carmike’s Majestic Theatre – Chattanooga, TN. Received Gold NC Certification. First movie theater to receive such. Chattanooga Outdoors – Chattanooga, TN. Received Gold NC Certification. Alstom Fitness Center – Chattanooga, TN. In application under LEED Campus. Shaw Re2E – Chattanooga, TN. Received Silver NC Certification. The Block / Bijou Renovation – Chattanooga, TN. In application under LEED Core & Shell. Silver certification anticipated. Alstom North Office Building – Chattanooga, TN. In application under LEED Campus track. Enterprise South Fire Hall – Chattanooga, TN. Received Gold NC Certification. Alstom Balance Facility – Chattanooga, TN (C/A only). In application under LEED Campus track. Chattanooga Closets – Chattanooga, TN. Designed NC certified. Project on hold. Cummings Cove Fire Hall – Chattanooga, TN. In application. Silver or Gold NC Certification anticipated. Warehouse Row District Attorney’s Office – Chattanooga, TN. Received Gold NC Certification, Commercial Interiors track. City of Chattanooga Well-Advantage Wellness Center. In application. LEED Silver anticipated. Dr. Farrar Orthodontists Office – Chattanooga, TN. Received LEED Silver Certification, Commercial Interiors track. Hixson Fire Hall – Not yet under construction. Gold NC Certification anticipated. Chattanooga Bank Building / Crowne Plaza Hotel – Chattanooga, TN. Designed to NC Platinum, not yet constructed.